Come connect with your friends, neighbors, yourself and the sacred earth through an all levels yoga class that will fill your heart and stimulate your body and senses. This circle of evergreens invokes true presence and gratitude. It is a beautiful place to stay for a picnic after the practice. There will be a short walk through the lush park from the visitors center parking lot. 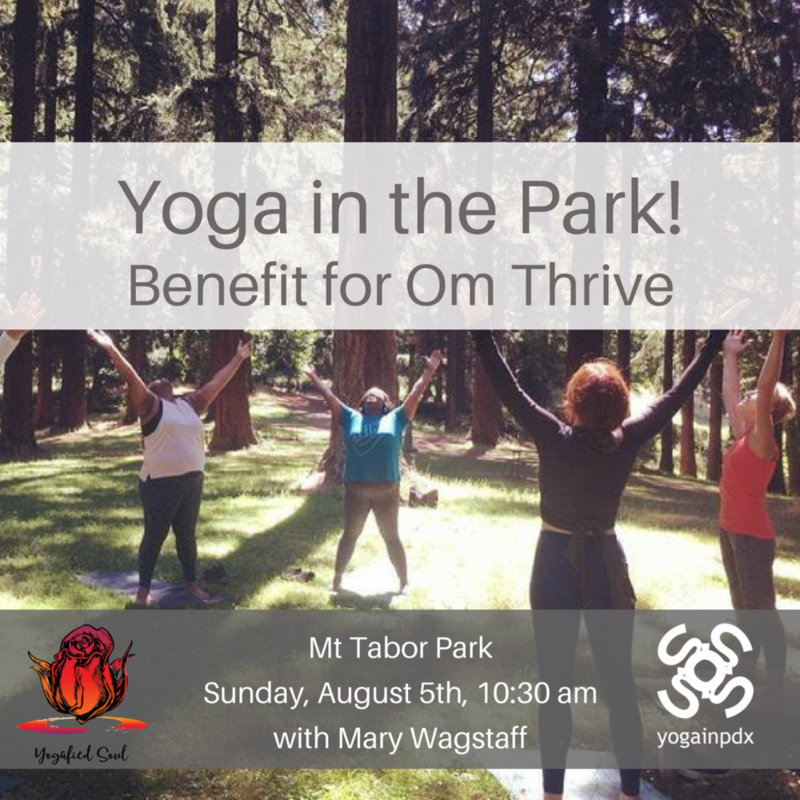 Fundraiser for Om Thrive Sponsored by @yogainpdx! Kids yoga by Jacque of Blooming Heart Wellness! Om Thrive provides healing yoga practice for survivors of domestic violence and abuse. Thank you for your support! Suggested donation $15 - $25. Cash and electronic donations will be accepted at the event.